What Types of Insects Eat Leather? Natural fibers and animal products such as cotton, wool and leather are easy prey for insects looking for food. If you examine clothes made of these materials or other items such as leather bound books and notice small holes, then infestation by insects is the cause. Several types of insects eat leather; identifying them is key to understanding how to control and kill them. 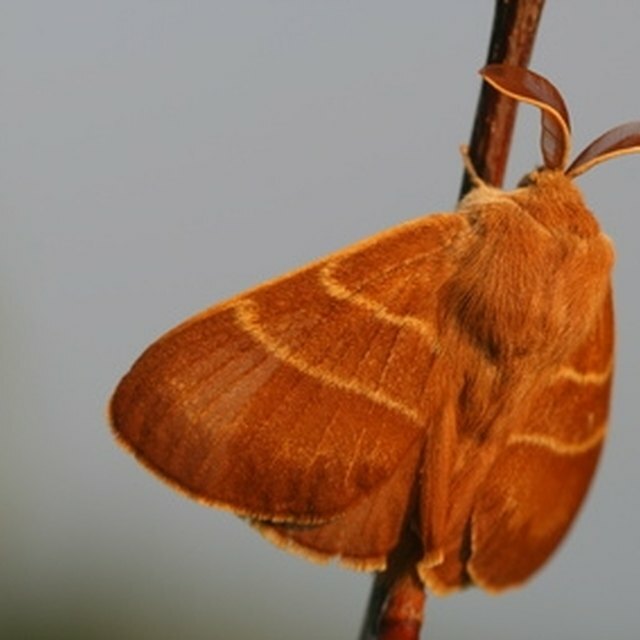 Moths have long been known to eat clothes, including leather products. The two most common types of clothes-eating moths are the webbing and casemaking clothes moths. The webbing clothes moth is a small winged insect only 1 or 2 inches long. The casemaking moth is darker than its webbing cousin with spots. The insects lay eggs in the cracks of clothes. When the larvae hatch, they eat the leather for sustenance. The carpet beetle eats any dead animal product, including leather and wool. They are small insects, only 2 to 5 millimeters in length, but they can destroy large pieces of clothing if they breed and create a large colony. Their growth is slow, but if left alone in a closet with leather clothing not usually worn or with a leather book not regularly read, then they multiply and ruin the leather items. Prevent infestation by dry cleaning clothing before storing them for large periods. Dry cleaning leather items kills the eggs and eliminates any perspiration or other odor that attracts the insects, according to University of Kentucky College of Agriculture. Store the items in containers and include moth balls or flakes to further prevent infestation by one of these common closet pests. If you already have an infestation, dry cleaning also kills the insects, but they may be hiding on other clothing. When you return with the clean garment, they jump onto it from other clothes. Place the infected clothes or items in a plastic zipper bag, if they fit, and place the bag in the freezer. The cold temperatures kills the eggs, bugs and larvae.